There are few flowers as showy as celosia. Whether you plant the plumed type, which produces striking upright spires, or the crested type, which has a fascinating twisted form, you'll love using celosia in bouquets. The flowers are beautiful fresh, but you can also dry them easily. And they bloom in all the colors of a glowing sunset. Plant established seedlings in spring after all danger of frost has passed. 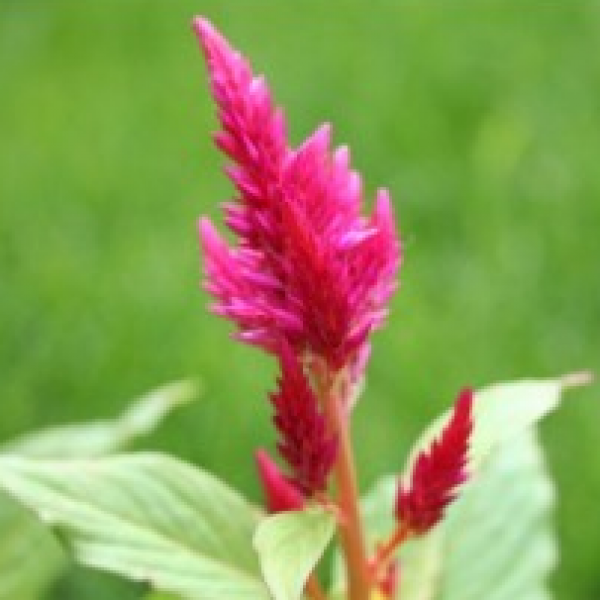 Celosia likes rich, well-drained soil with moderate water. Spider mites can sometimes be a problem in hot, dry weather. Celosias commonly called cockscomb, feathered amaranth, woolflower and red fox, are warm-weather flowering plants that thrive in hot, humid Mediterranean areas. They are commonly grown as annuals but can survive winters in U.S. Department of Agriculture plant hardiness zones 10 and 11. Mature plant height is generally between 6 inches and 3 feet, depending on the cultivar. Celosias in the “Childsii” and “Cristata” groups have rounded flowers, those in the “Plumosa” group have arrowhead-shaped flowers and those in the “Spicata” group have bottle-brush type flowers. They are all easy to care for as long as their soil and sunlight requirements are met. Celosia plants require a minimum of eight hours of direct sunlight and soil that drains quickly. Poorly draining planting sites can cause them to develop root rot. To test how quickly the soil drains, remove the top and bottom from a large coffee can, dig a 4-inch-deep hole in the soil, the same circumference as the can, and insert the can into the hole. Fill the can with water and check the water level after one hour. If the water level drops between 2 and 5 inches, the drainage is good. When the water level drops less than 2 inches, the drainage is poor. Perlite can be added along with soil amendments to improve the soil's drainage or you can plant celiosa in containers or raised beds. plants nature is outdoor and love direct sun light.